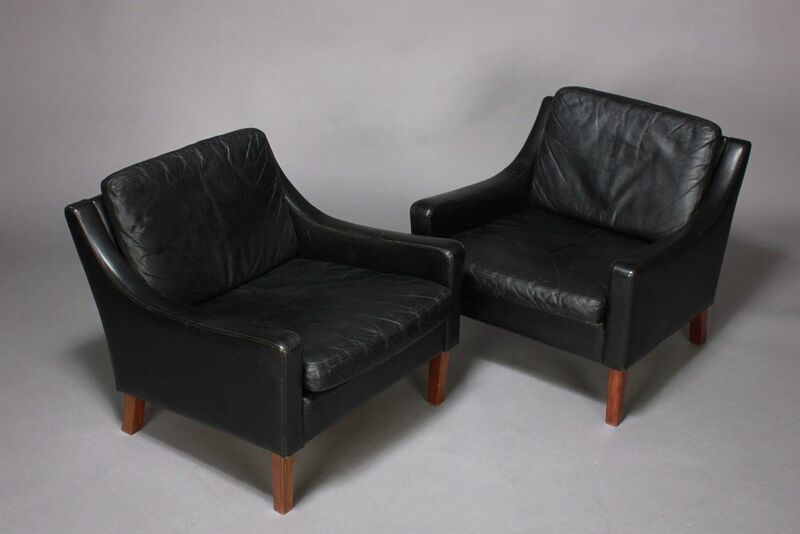 These classic armchairs were made in Denmark, probably in the 1960s/70s. The design is by Borge Mogensen from the early 1960s. 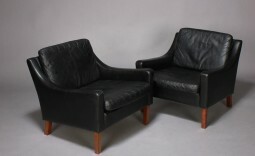 The black leather has a well used look and has developed character over the years. 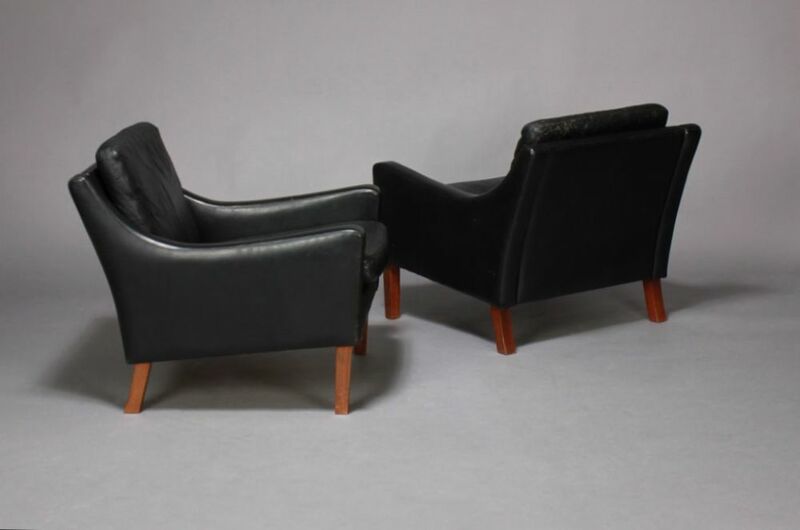 If you like the style of what we have for sale, please visit apolloantiques.com/mailing-list and if you would like us to keep you informed of new products on an occasional basis, please enter your email address for the mailing list. The measurements are approximately 74 cm wide, 82 cm deep and 77 cm high.